Directly connected to the south terminal (Terminal Sud) by a covered walkway, our hotel offers an amazing night's sleep without being disturbed by aircraft. For guaranteed rest and relaxation, our teams are available 24/7 for anything you may need. Ideally located next to the footbridge linking the South Terminal to Coeur d'Orly business park, the ibis Paris Coeur d'Orly Airport hotel welcomes you for your business or leisure stays. 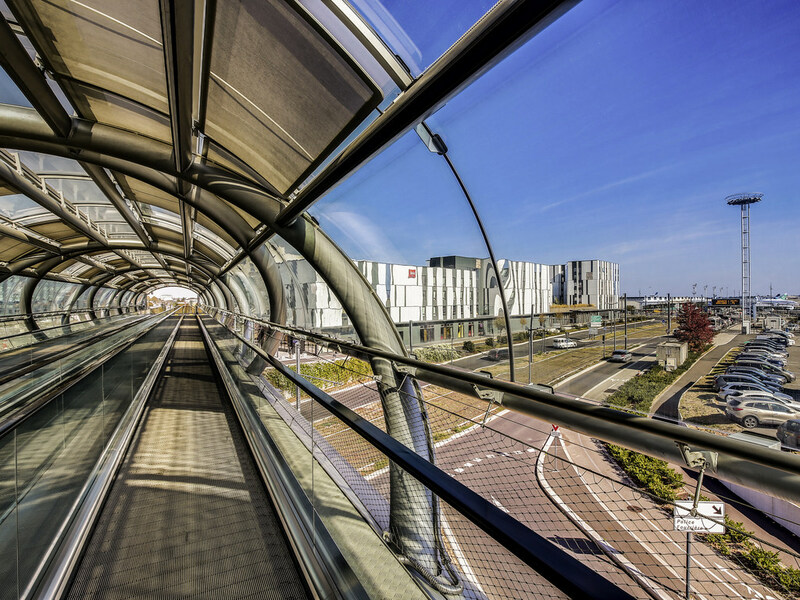 From Orly Ouest, take the Orlyval shuttle to Orly Sud. Accessible from Paris via the T7 tram, the fully air-conditioned hotel offers 393 rooms (including connecting rooms), 4 meeting rooms, an ibis Kitchen restaurant open until 11pm, a bar and a 24-hour snack service. Free WIFI access in the rooms. At the heart of the airport, 5 min from Terminal 4 by a roofed tavelator. Equipped with the new Sweet Bed by ibis bedding, all our rooms are air conditioned and furnished with a double bed, bathroom, desk, free WIFI and a flat-screen TV with all the main channels. In a friendly setting just a stone's throw from Paris Orly Airport, come and enjoy our unlimited buffets and à la carte dishes. Whether you're on a business trip or a family vacation, our ibis Kitchen restaurant has everything you need! Come and relax in our bar. People gather at the ibis bar at all times of the day for a bit of me time. Snacks are available 24 hours a day and we also have a light bites menu if you're feeling peckish.